A splendid coloring page of Princess Rosette, a children story from the Countess of Ségur (Comtesse de Segur). The princess is seated on her throne and wears a magnificent dress. This coloring page is derived from an illustration of an American edition of the stories of the Comtesse de Ségur, "Old French Fairy Tales" published by the Penn Publishing Company of Philadelphia in 1920. The book illustrations were drawn by Virginia Frances Sterrett who was 19 year old. 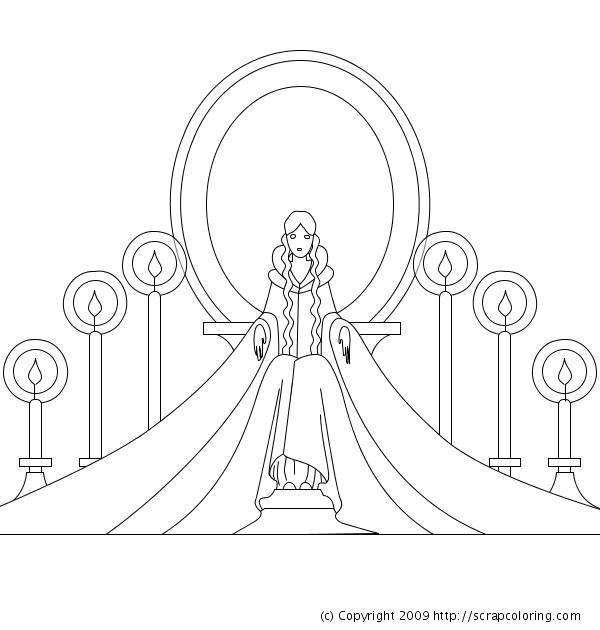 If you do not see the online coloring page Princess Rosette in black and white above, you need to use another web browser: see the page Supported Browsers.